Physician, MLA (1881-1883), MLA (1883-1886), MLA (1886-1888). Born near Huntley, Ontario on 2 October 1855, youngest son of Thomas and Sarah Wilson, he was educated at Pakenham high school, Trinity College, University of Toronto, and the Ontario College of Physicians and Surgeons. In 1879, he practiced medicine for a few months at Winnipeg before moving to Nelson. 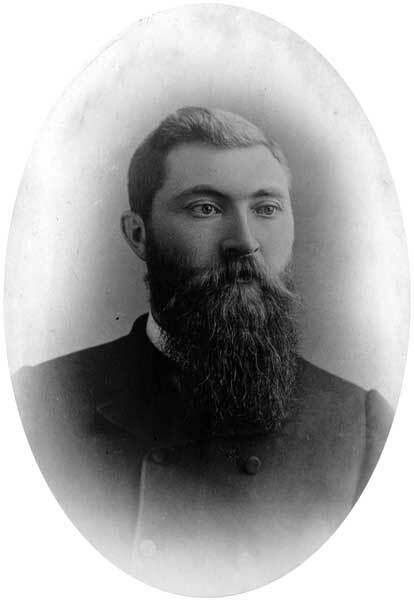 He was elected for Dufferin North to the Manitoba Legislature in 1881 and 1884 by-elections, and 1883 and 1886 general elections. He served as Provincial Secretary (1884) and Minister of Public Works (1886-1888), resigning in 1888. He put through the bill for incorporating the Manitoba Medical College, the first medical school west of the Great Lakes. He resumed his medical practice at Vancouver, British Columbia in 1889, retiring from active professional life in 1894. He served as founding President of the Vancouver Medical Association and first President of the Conservative Association of British Columbia. He was Vice-President of the British Columbia Permanent Loan Company, Pacific Coast Fire Insurance Company, and Royal Plate Glass Insurance Company. On 6 January 1887, he married Annie E. Armstrong, daughter of Robert Armstrong of Fitzroy, Ontario. They had three daughters. He died at Vancouver, British Columbia on 10 December 1926. “Early Manitoba M.L.A., dies at Vancouver,” Manitoba Free Press, 13 December 1926, page 6.